Americans spend 37 minutes each day on social media, so social ads are a great opportunity to help you connect with your audience. But should you be using them? And which platforms should you put money into? How do you keep from getting bogged down in all your options? And how do you get the results you want? It’s advertising. It’s on a social networking site. You’re paying to reach people who don’t already follow/like/whatever you. 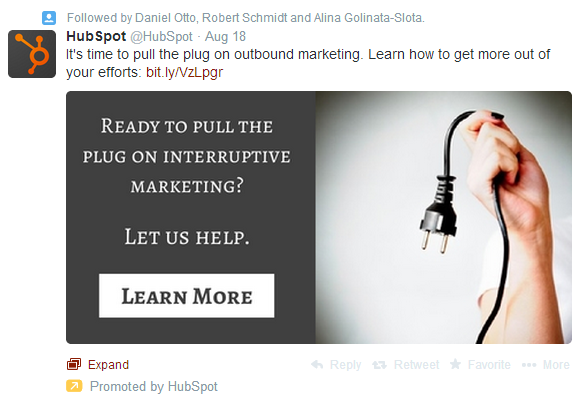 Many social ads don’t look like ads. As a society, we’re flooded with advertising, so we’ve trained ourselves to tune the noise out. Automatically, we don’t pay attention to most solicitations. But social platforms have found a way to get through your filter and make you take a second look. Many ads are either carefully crafted to look like content or are actual content from your pages. 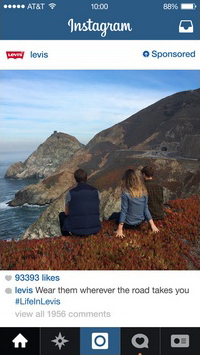 Take the Levis Instagram ad below. If it didn’t have the “sponsored” icon, it would look like just another Instagram post in your feed. You have many different ways to target your audience. Geotargeting, or serving your ads to users based on their geographic location, revolutionized advertising and made digital far more efficient than print for many marketers. In the last five years we’ve seen it used in video, display, and search ads. However, social took targeting even further so you can really hone in on your target audience. Social networks have access to information beyond location so, depending on the platform, you can target by gender, age, interests, behavior, and more. On Twitter, you can even target anyone who follows your competitors. But, as we said, there are a lot of different social networks to advertise on. Should you be on any? Should you be on them all? Or maybe just a select few? What is the goal of your ad? Do you want more people on your organization’s page? Then you should put money into ads where you have a strong presence and strong content. (What’s the point of having followers if they have nothing to follow?) Are you trying to get people to go to your website? Ad types with strong calls-to-action are best for this. First, images. The old adage is true; a picture is worth a thousand words. And all the big sites, even Twitter, have become more image-centric as of late. But images that work on Pinterest don’t always work on Facebook. Do you want to use a large photo? An infographic? 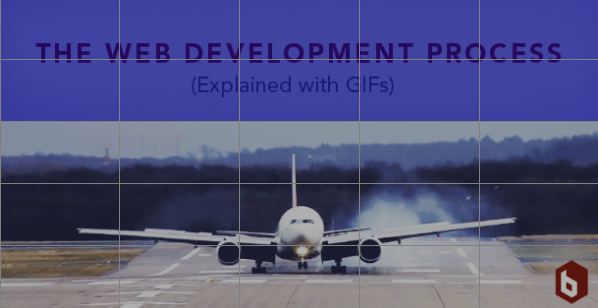 An animated GIF? Second, your (rough) budget. Can you throw $40 at this? Or $4,000? Or $400,000? Trying to sell to women who make a lot of money? You should be on Pinterest. Urban millenials? Instagram. Once you have answered those questions, take a look at what’s out there and see what matches up. You might call Facebook the gateway to social advertising. They’ve been doing it the longest, they have the largest audience, and they make it wicked easy. Right from the very beginning, Facebook focuses on your goals as it guides you through the ad process. 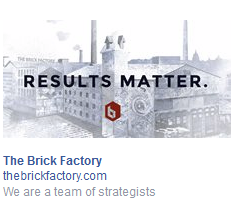 Once you’ve told Facebook what you’re trying to achieve, you’ll be funneled into one of two ad types. The other type is the promoted/boosted post: content ads. The only thing that separates them from the usual content in your newsfeed is the word “sponsored” at the top of the ad. Lots and lots and lots of people are on Facebook. After Google, it’s the second most visited website in the US. Lots and lots of different types of people use it. Almost every age group is represented. Targeting people 55 and up? It’s the fastest growing demographic. Targeting teens? Although many claim they’ve jumped ship, the most recent data shows they’re sticking around. Facebook ads are budget-friendly. You can invest just a few dollars if you want to. 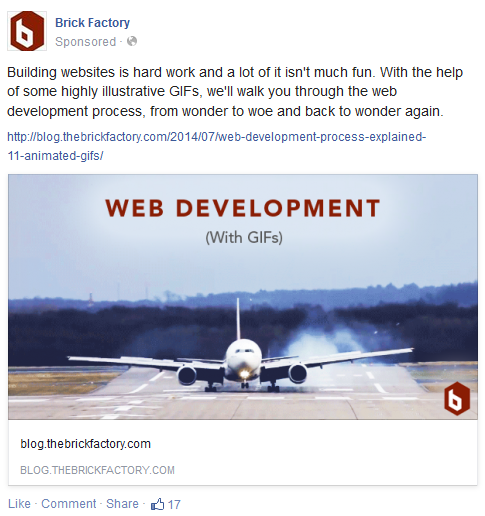 Because Facebook is a highly-visual, using images in ads can be a little tricky. Facebook has implemented a few rules to protect the user experience. The big one: if you want to have any text on your image, it has to take up less than 20 percent of the design based on this grid. Our first stab at an ad didn’t work. As you can see, the text took up 10 boxes on the grid. To hit 20 percent, we had to find a way to make our text fit within five boxes or less. On to Twitter, the mico-blogging wonder. If you’re trying to get more followers, you can promote your account. And if you’re trying to get people to click on something, there are also promoted tweets, which are just like Facebook’s promoted posts: content ads. 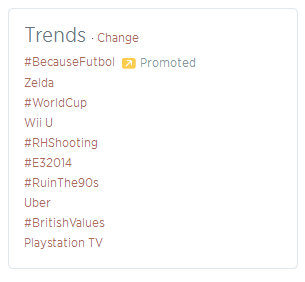 Finally, there are promoted trends – intended to get a conversation going about your company or product. However, unless you’re budget is several thousand dollars, forget it. The current cost of a promoted trend isn’t public, but rumor has it they went for $600,000 a day during this year’s World Cup. If you have some developers on-hand, you can implement Twitter Cards. 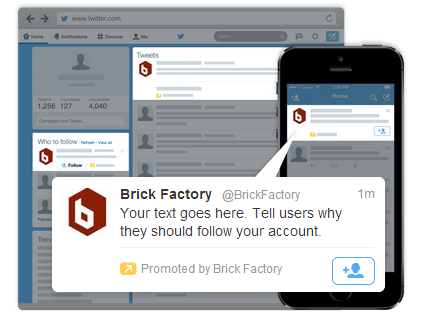 They’re like promoted tweets, but with customizable call-to-action buttons. 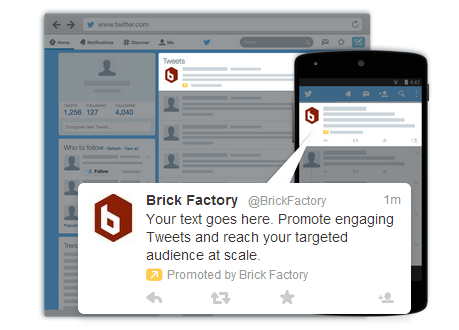 Your ad, whether a tweet or an account, will show up in search results. As we mentioned earlier, you can target users on Twitter several different ways. Our favorite is to target followers of a particular account. 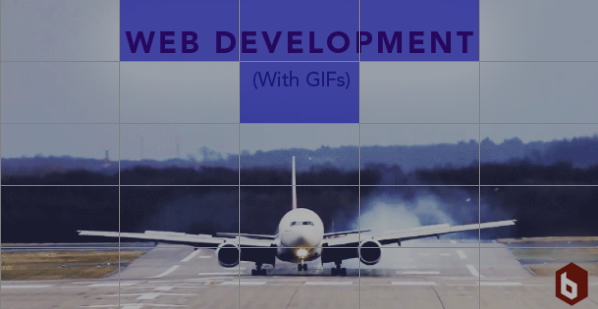 You can use animated Gifs in your ads! 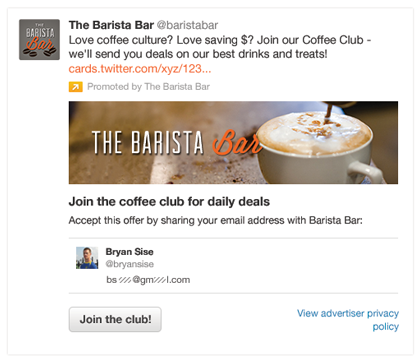 Like Facebook ads, Twitter ads are pretty budget-friendly. The two cost about the same. Check back with us next week. We’ll do a full post on Twitter ads that will include which ad to use to meet your goals and ad creative best practices. Although it is often overlooked in social advertising, LinkedIn has a lot to offer. Because it is the professionals’ network, it’s perfect for business to business advertising or anything that furthers a career like skill development or networking events. But it can be more than that too. Especially since LinkedIn has taken steps in the past year to become a source for content, not just connections. The very top of your feed, just below your navigation. In the left-side column, similar to Facebook. And as actual content in your feed. As you can see, even in ads disguised as posts, images aren’t playing as much of a role on LinkedIn as they are on Facebook and Twitter. They’re a little more expensive than Facebook and Twitter. With a minimum cost per click (CPC) of $2. However – still affordable for a small or mid-sized company. Because it’s a professional network, LinkedIn has access to demographic information that no other social media site does and it’s taking full advantage of it. You can target by job title, employer, role, skills, and interests. This means that if you’re trying to drive donations, you can target by high-income senior employees like CEOs or partners. If you’re trying to inform or change attitudes on an issue, you can target by the leading employers in your industry. A couple years ago, this chart was floating around the Internet that helped to explain social media with donuts. LinkedIn: my skills include donut eating. Google+: I’m a Google employee who eats donuts. Apparently, for Google+, that’s not entirely accurate anymore. With over a billion users, they’re catching up to Facebook pretty quickly. 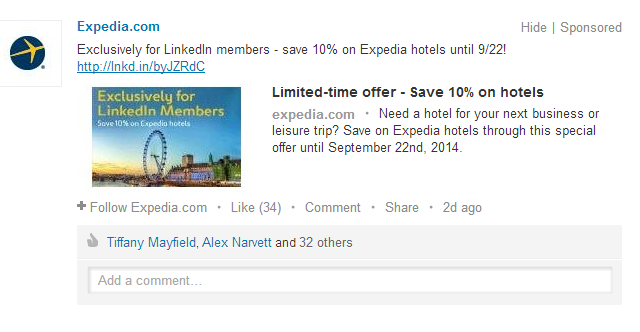 But what’s interesting about Google+ ads, also known as Google +Post ads, is that they aren’t strictly social. 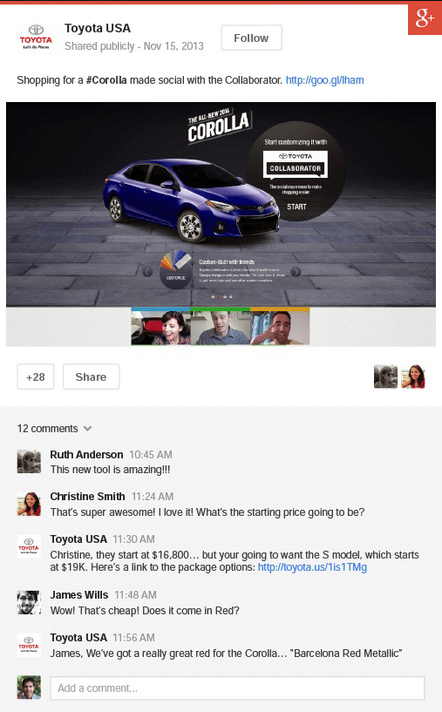 Like other social media networks, you can create content on Google+ and then pay to promote it. 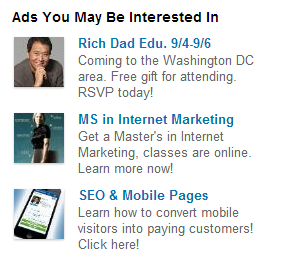 What is different is that you’re paying to promote it on other websites, not on Google+. But users can interact with it just like they would on a social network without having to leave the page they’re on. It’s like if display ads and social media ads had a torrid affair and produced a mutant super ad. But, fun fact, you can’t run these ads unless you are a “qualified brand on Google+” with over 1,000 Google+ fans. One of the newest ad options out there. 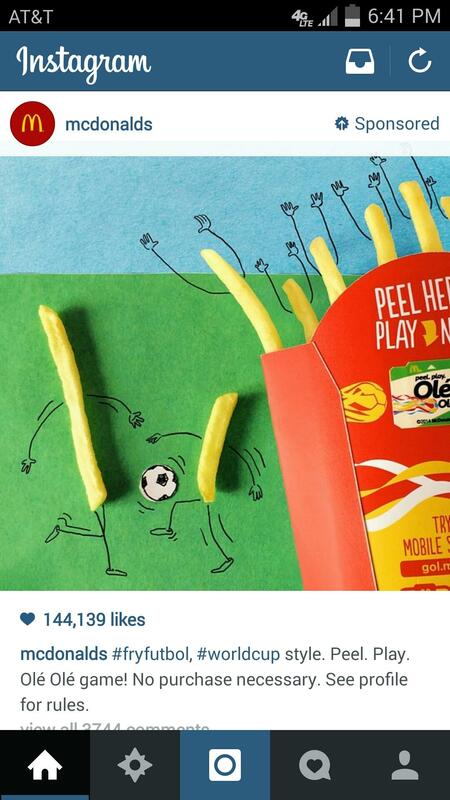 Mashable calls Instagram, “A Marketer’s Best Friend” because people engage. A lot. A lot a lot. Like 60 times more than on Facebook. Not to mention, the young tastemakers (or the millenials are we are popularly called) are all over this Instagram thing. Instagram has 150 million users. 90 percent of them are under 35. 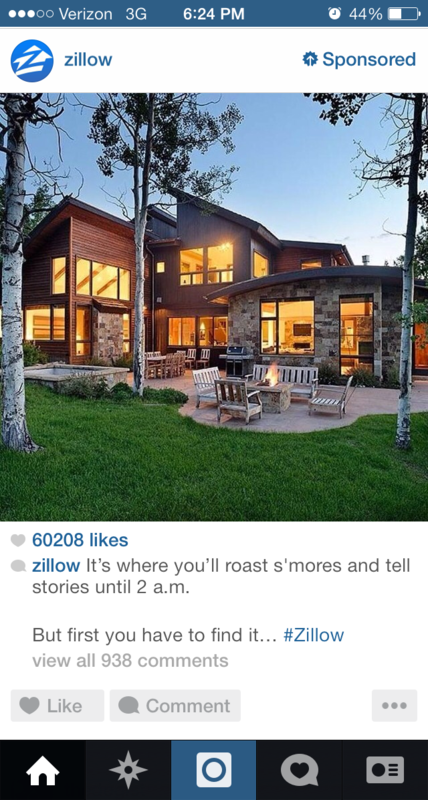 As we’ve already shown, what’s nice about Instagram ads is how seamlessly they fit into your feed. But, Instagram recently hired a guy to oversee its ads, so don’t be surprised if Instagram opens up its advertising options soon. 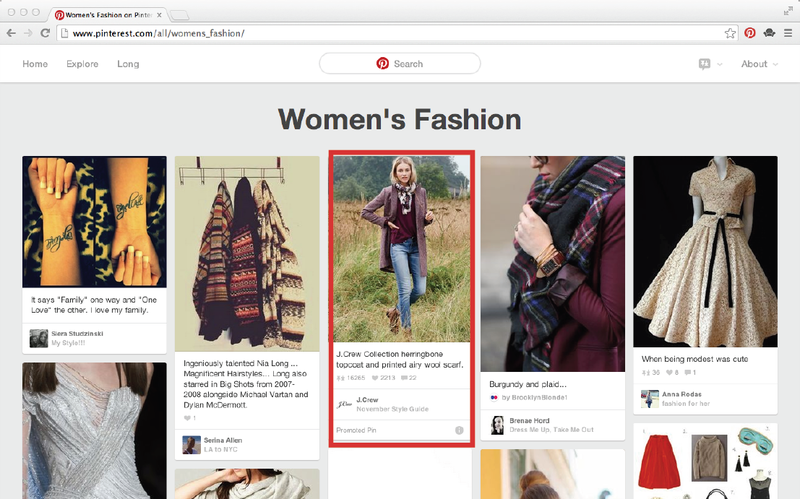 Pinterest is also new to the social advertising game, launching their promoted pins early this year. Like Instagram’s ads, Pinterest’s promoted pins blend in with the various feeds. But the thing with Pinterest’s promoted pins is they are crazy expensive. Do you have 1 million dollars? I don’t. So I guess I won’t be promoting my pins anytime soon. Why is Pinterest able to charge so much? It’s all about the high click-through rate. And the fact that Pinterest brings in way more money (yay, ROI) than Facebook and Twitter. 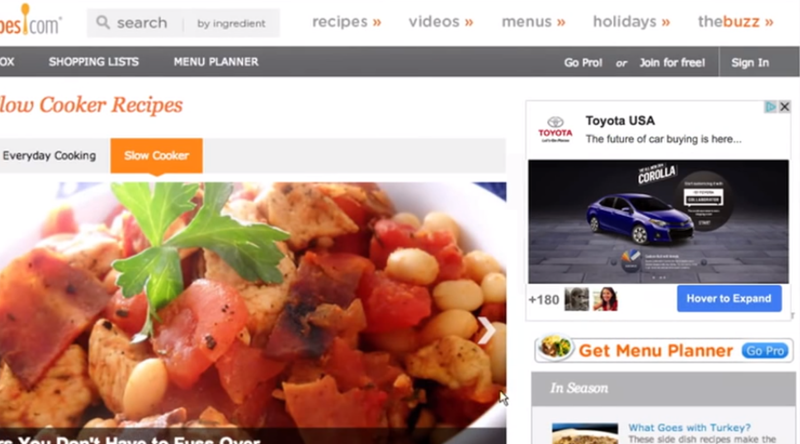 Kraft gets to promote recipes that use Kraft products. People will pin them, click on them, make them. Lululemon gets to promote their latest leggings. People will pin them, click on them, buy them. We can’t tell you what ads will be best for you because, like most digital marketing, a good social ad requires a lot of experimentation and tweaking. You’ve got to try different networks. But, all that aside, once you’ve taken stock of your goal, resources, and audience, you’ll be able to make a more educated first stab – you’ll spend money more efficiently and spend less time tweaking. 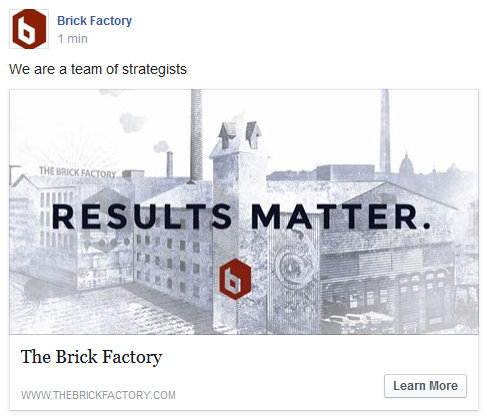 Katie Fulton is a Senior Strategist at Brick Factory. She works with a diverse roster of nonprofits and has extensive experience in content creation, email marketing, and digital advertising. She also won an episode of Jeopardy!